It's always fun to get to know other bloggers. 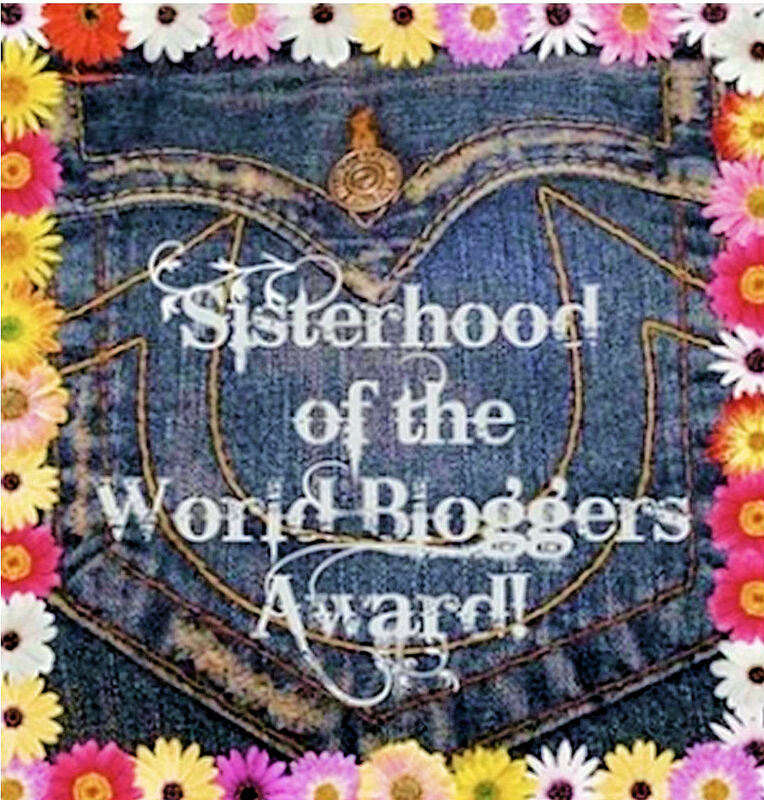 The sisterhood of the world bloggers award does just that! 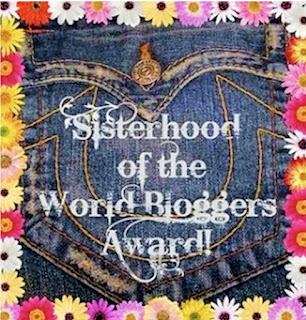 I was nominated for this award by Elizabeth from Chasin Mason. She asked some wonderful questions - some that are fun - and some that caused me to reflect on my blog! Enjoy! 1 // What do you hope to accomplish with your blog? I originally started this blog as a DIY blog. It transitioned more into a fashion and lifestyle blog as time went on. I would say I hope to share real life with people and share how it can be easy to be fashionable. Sometimes I feel like what I post can be kind of random - from kids crafts to product reviews to fashion posts, but what I've heard from multiple people is that they like the variety. 2 // What have you learned about blogging since you started? I've learned that it is really fun to make connections. I've also learned that I will never be a super famous blogger, and that's just fine. I don't have the time to devote to making sure every picture is perfect. I want to be down to earth and just be the mom next door because that's who I am. 3 // Provide a link to your favorite blog post. For fashion posts, my whole Lessons in Fashion series has been fun, especially this one about Scarf and Top Combinations. For non-fashion posts, it was hard to choose, but Because Baby News Doesn't Thrill Everyone touched a lot of people. I really wrote it from the heart. 4 // Have you made virtual friends because of blogging? Have you met them "in real life"? I have! I would consider a lot of bloggers my friends. I'm in a few blogger groups, and those have allowed me to make some more deep connections. I also have some blogs that I gravitate to reading more often. I feel like I really know and can relate to those ladies. Though I have not met a blogger friend in real life yet, there are many of you who I would LOVE to meet! 5 // Does your family read your blog and if so does this affect what you say or how you say it? Yep, they do! My husband, mom, and one of my brothers do for sure. It doesn't affect what I say because I portray myself pretty honestly on here. I do, however, somewhat monitor myself on Instagram. I have quite a few students who follow me on there (I teach 6th grade), so I don't post pictures of me with drinks and such. 6 // What's your favorite thing to eat and drink in the summer? I love Tropical Sno, but I don't get to have it very often (and that needs to change!). I enjoy fresh fruit, cotton candy, and a good cider! 7 // Are you a nail polish fan? If so, what color and what brand are your favorite? If you've been around here enough, you know I'm all about Jamberry Nails! I love a lot of their patterns and even solid colors! It's Complicated and Sunny Lotus are two of my favorites right now! 8 // What is your go-to meal for dinner? If we're in a squeeze, it's meatballs and a frozen veggie. I always have those two items in the freezer. Pizza is always good, too. Hawaiian pizza is my favorite! 9 // What is your favorite holiday and why? This is a tough question for me. I think Christmas is, but the Fourth of July comes in second. Christmas celebrates Jesus's birth, is just so festive, and I love giving gifts! The Fourth of July is SUMMER and it just seems like everyone is out and about having fun that day. Plus I LOVE fireworks. 10 // What is one piece of advice you would give fellow bloggers? Be true to who you are. Don't try to be someone else. This sounds generic, but it's so true. I can get caught up in thinking, "I wish my blog was more like so and so the fashion blogger." I have to remember that being a strict fashion blogger just isn't me, but for some people it is. Also, don't stress about the numbers. If just one person benefits from what you post, you make a difference. Thank you for the nomination, Elizabeth! This was so fun!